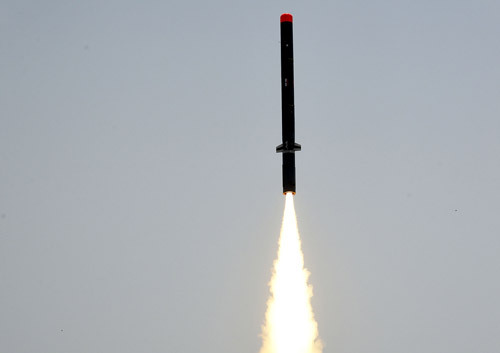 240 Spike ER missiles and 12 launchers are being purchased as an "emergency procurement"
Defence Research & Development Organisation (DRDO) today successfully test fired indigenously designed & developed Long Range Sub-Sonic Cruise Missile "Nirbhay" from the Integrated Test Range (ITR), Chandipur Odisha. 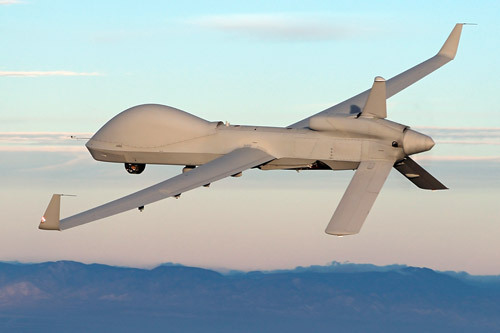 The U.S. Army has completed its New Equipment Training (NET) at Fort Campbell, Kentucky for the MQ-1C ER Gray Eagle Extended Range. 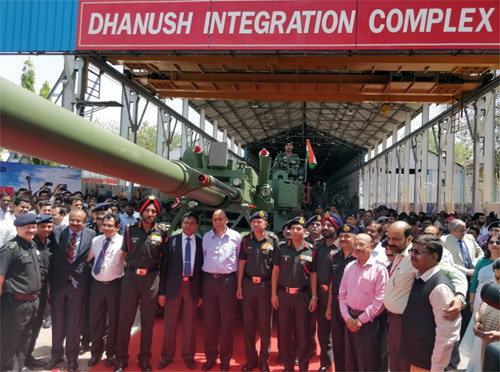 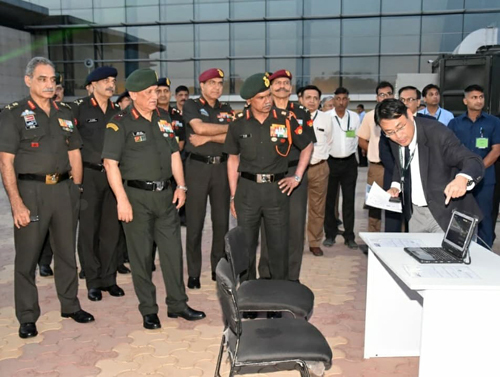 The 12th edition of joint military exercise between India and Singapore, BOLD KURUKSHETRA 2019, culminated on April 11, 2019 after an impressive closing ceremony held at Babina Military Station. 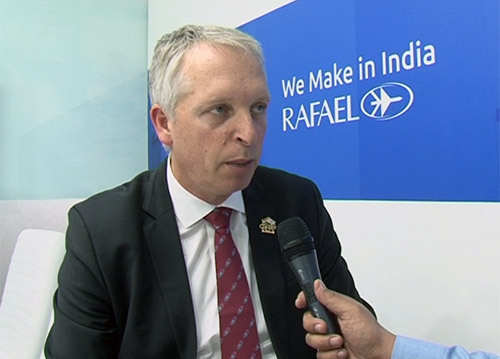 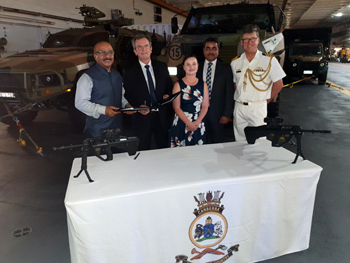 Kalyani Group and Thales have formalized a new collaboration for the design, development and manufacture of next generation weapons systems for the Defence and Law Enforcement sectors in India and abroad. 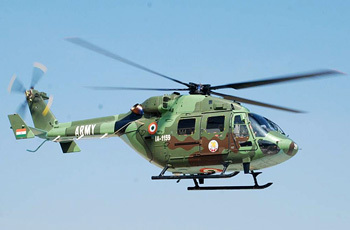 Russian Helicopters (part of Rostec State Corporation) successfully completed preliminary flight tests of the Mi-26T2V helicopter. 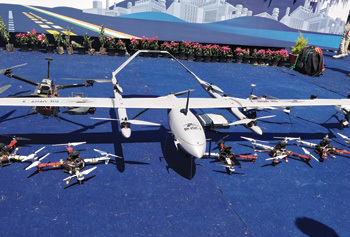 The first of its kind Olympics held for the future, eyed unmanned aerial vehicles or drones, saw the remotely controlled devices display rescue skills, visual formations and much more giving a wonderful contest to the larger than life aircraft. 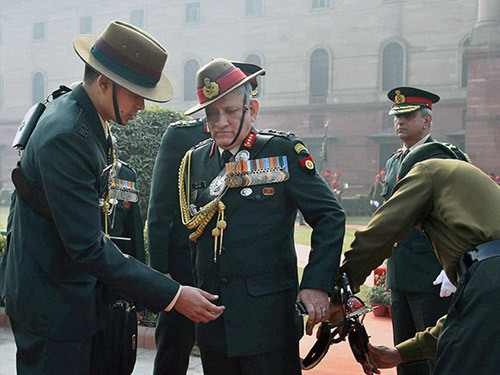 General Bipin Rawat, Chief of the Army Staff is scheduled to visit United States of America from 02 April to 05 April 2019 on an official visit. 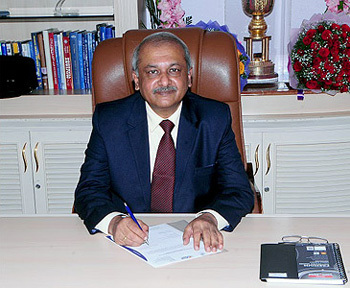 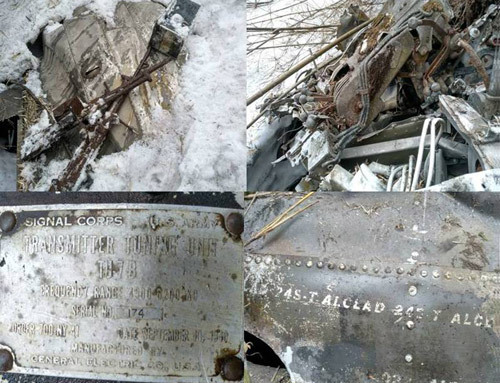 Hindustan Aeronautics Limited recorded a turnover of over 19,400 crores (provisional and unaudited) for the financial year ended on March 31, 2019 (corresponding figure for the previous year was 18,284 crores). 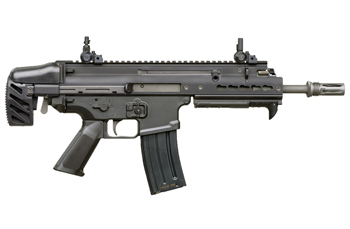 FN Herstal, world leader in the design and manufacture of small arms will present its latest products at INFOPOL 2019 to be held in Courtrai between 2 - 4 April. 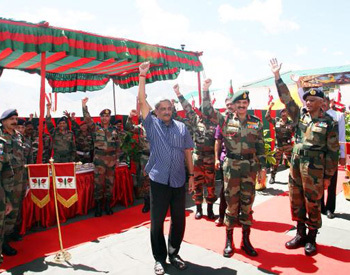 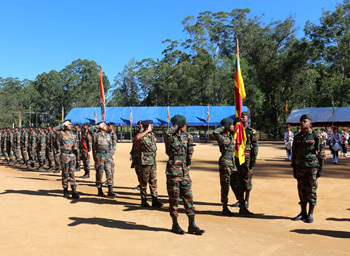 Opening ceremony of Exercise MITRA SHAKTI VI, a 14 days joint training exercise of the Indian Army and the Sri Lankan Army has been held on 27 March at Diyatalawa Parade Ground in Diyatalawa, Badulla District, Sri Lanka. 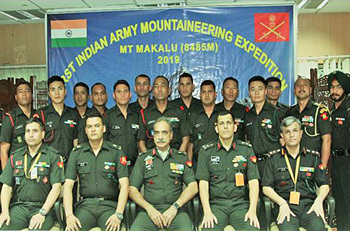 First Indian Army Mountaineering Expedition to Mt Makalu (8485m) comprising five Officers, two JCOs and eleven OR was flagged off by Director General Military Training on March 26, 2019. 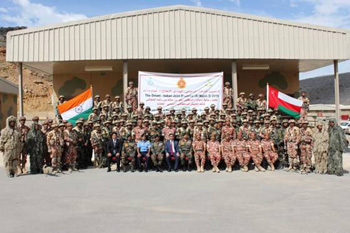 The third edition of joint military training exercise between Indian Army and Royal Oman Army, Exercise AL NAGAH 2019 concluded at Jabel AI Akhdar training camp, Oman on March 25, 2019. 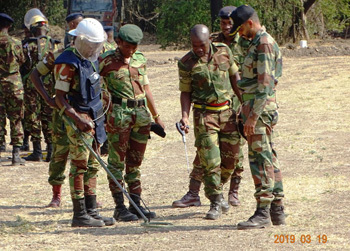 As part of the inaugural Africa-India Field Training Exercise, AFINDEX-19 which commenced on 18 March 2019 at Pune, a number of activities in planning and conduct of Humanitarian Mine Assistance has been undertaken by all 18 participating nations. 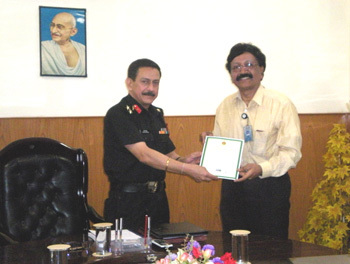 Navratna Defence PSU Bharat Electronics Limited (BEL) has received the first Green Channel Status certificate from Directorate General Quality Assurance (DGQA) for supply of Spares for a particular Radar being manufactured by Military Radar Strategic Business Unit (SBU) of BEL's Bangalore Complex. 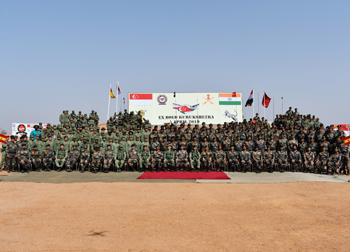 Exercise MITRA SHAKTI is conducted annually as part of military diplomacy and interaction between armies of India & Sri Lanka. 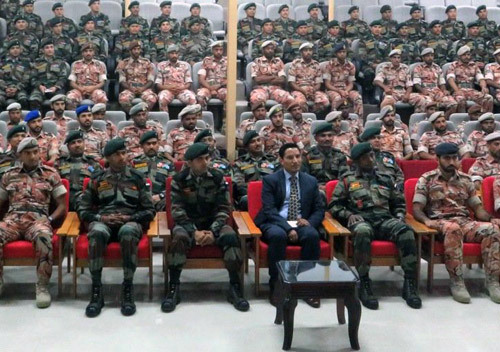 The joint exercise for the year 2018-19 will be conducted from 26 March to 08 April 2019 in Sri Lanka. 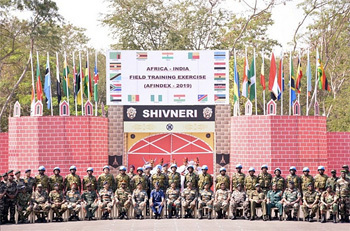 The inaugural Africa-India Field Training Exercise-2019 for India and African nations called AFINDEX-19 scheduled from 18 March to 27 March 2019 started with a grand opening ceremony on 18 March 2019 at Aundh Military Station, Pune. 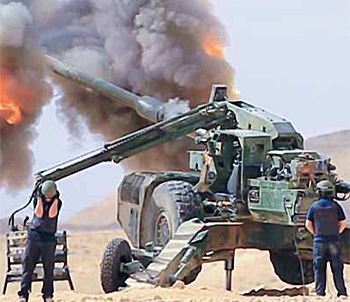 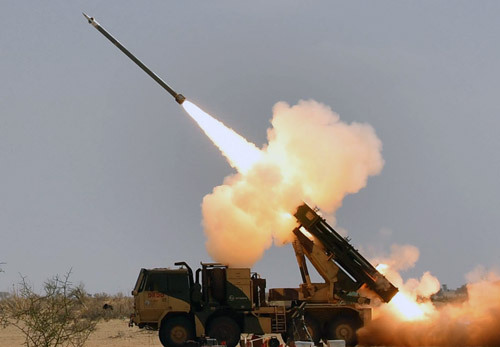 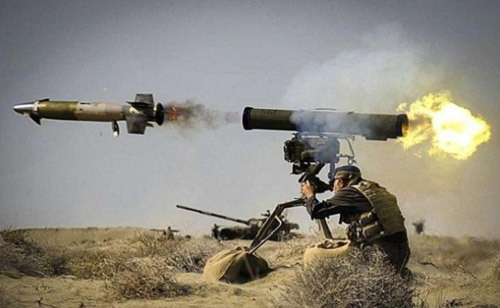 Defence Research and Defence Organisation (DRDO) today successfully test fired the Guided PINAKA from Pokhran ranges. 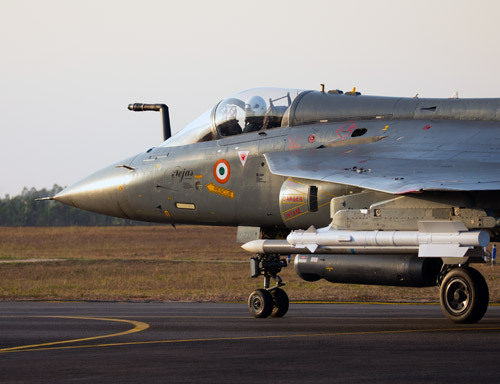 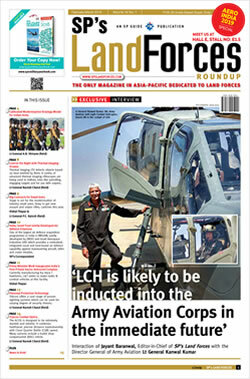 The weapon system is equipped with state-of-the-art guidance kit comprising of an advanced navigation and control system. 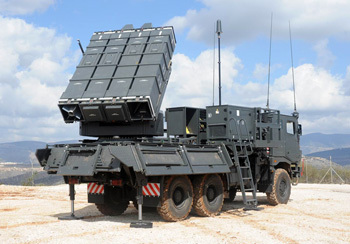 Northrop Grumman Corporation and MBDA have successfully completed a joint, company-funded effort to incorporate the Common Anti-air Modular Missile (CAMM) family into the Integrated Air and Missile Defense (IAMD) Battle Command System (IBCS). 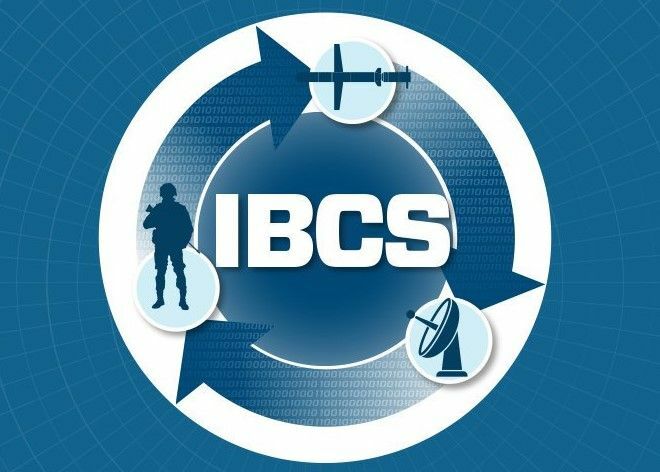 CAMM is the first non-U.S. missile system to be integrated with IBCS. 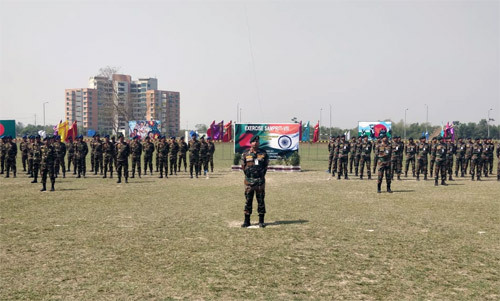 The Chief of Army Staff (COAS), General Bipin Rawat today visited Para Brigade and reviewed their operational readiness. 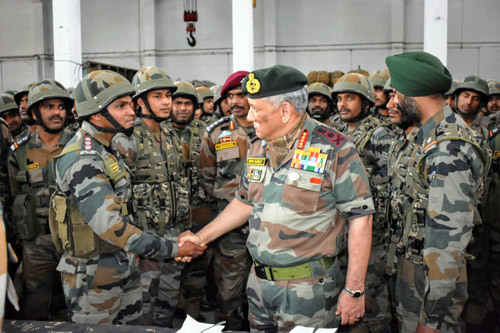 Army Chief General Bipin Rawat on March 8 briefed the visiting Commander of the US Special Operations Command, General Raymond Thomas about Pakistan's continued support to terrorism.